CWTC has over 300 specialty shops including luxury flagship stores. In the basement is an ice-skating rink and international food court. Oriental Plaza is a large Beijing shopping complex with top designer brands, shopping malls and Grand Hyatt Beijing hotel. Location is near Wangfujing. 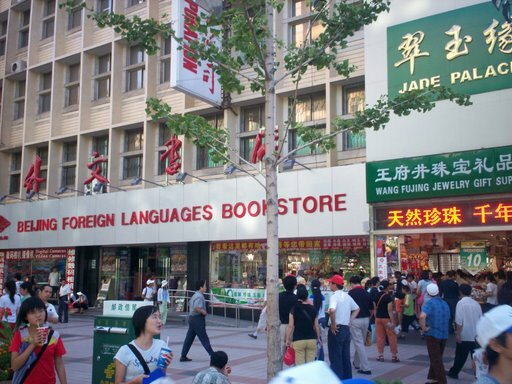 This area provide ideal Beijing shopping, dining and entertainment. Famous stores include Xidan Shopping Center, Xidan Bazaar, Chung-Yo Department Store, Huanan Mansion, Paris Photo Studio and Capital Bookstore. cheap silk products also cashmere garments, down jackets, leather goods, shoes, hats and watches. No fixed prices. Bargain is a must.